With a stay at Kempinski Hotel Amman Jordan in Amman (Al Abdali), you'll be within a 10-minute drive of Abdoun Bridge and King Abdullah I Mosque. 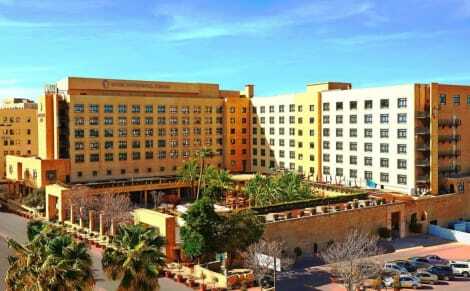 This 5-star hotel is 4.4 mi (7.1 km) from Amman Roman Theater and 1.3 mi (2 km) from Hussain Luna Park. With a stay at Amman Rotana, you'll be centrally located in Amman, a 6-minute walk from Al Abdali Mall and 14 minutes by foot from King Abdullah I Mosque. 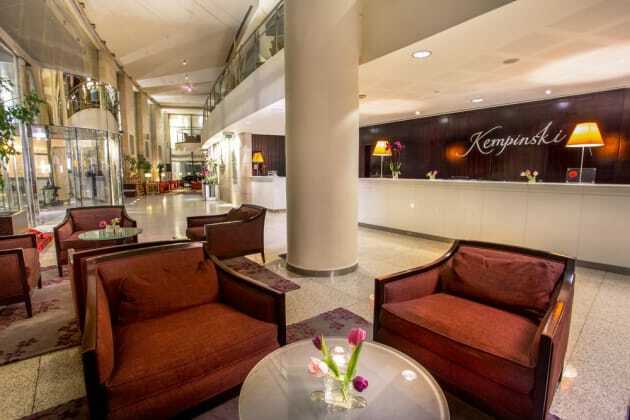 This 5-star hotel is 0.9 mi (1.5 km) from The Parliament and 1.6 mi (2.6 km) from Coptic Orthodox Church. Enjoy international cuisine at LE PATIO, one of the hotel's 3 restaurants, or stay in and take advantage of the 24-hour room service. Snacks are also available at the coffee shop/café. Relax with a refreshing drink from the poolside bar or one of the 3 bars/lounges. Buffet breakfasts are available daily for a fee. Enjoy Mediterranean cuisine at Andalusia, one of the hotel's 2 restaurants, or stay in and take advantage of the 24-hour room service. Relax with a refreshing drink at one of the 3 bars/lounges. Buffet breakfasts are available daily from 6:30 AM to 10:30 AM for a fee.